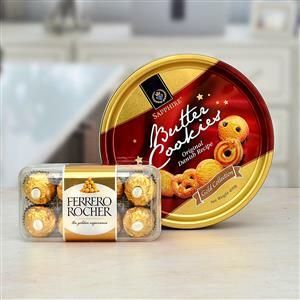 Send Butter Cookies with Ferrero Rocher Chocolates Hamper to Chennai. Gifts to Chennai. Send Chocolates to Chennai.